Gallery walk on Friday examining the winning Celebrations works, discussing how to create a good piece. 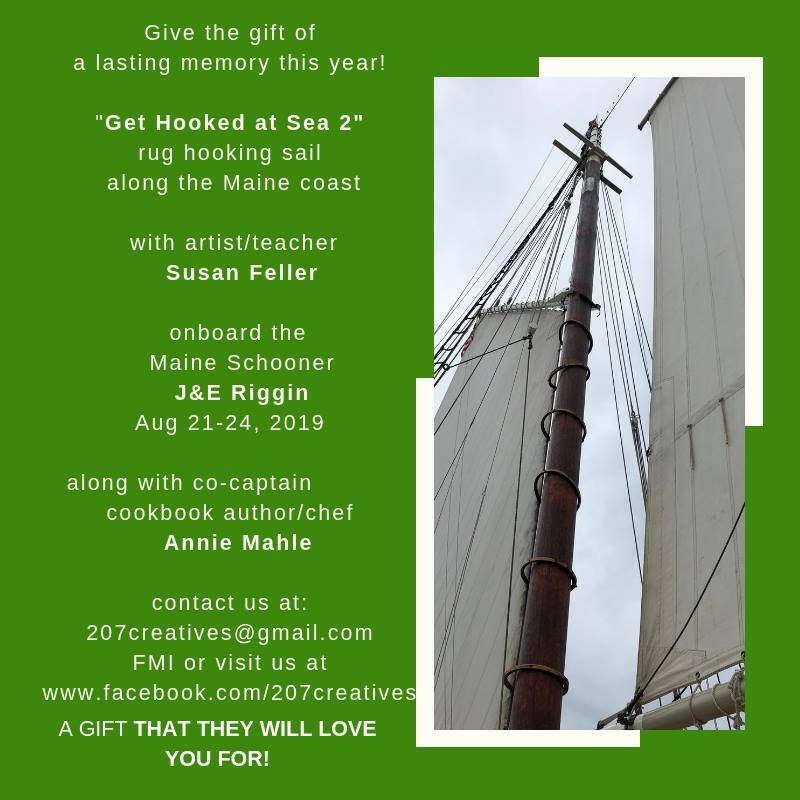 August 21-24 Sailing and Creating on the Maine Windjammer J & E Riggin out of Rockland, ME Coordinated by 207 Creatives. Click the 207 link for description and pricing. We will be sketching our experiences, yes you can do this even if a pencil is not your favorite tool. 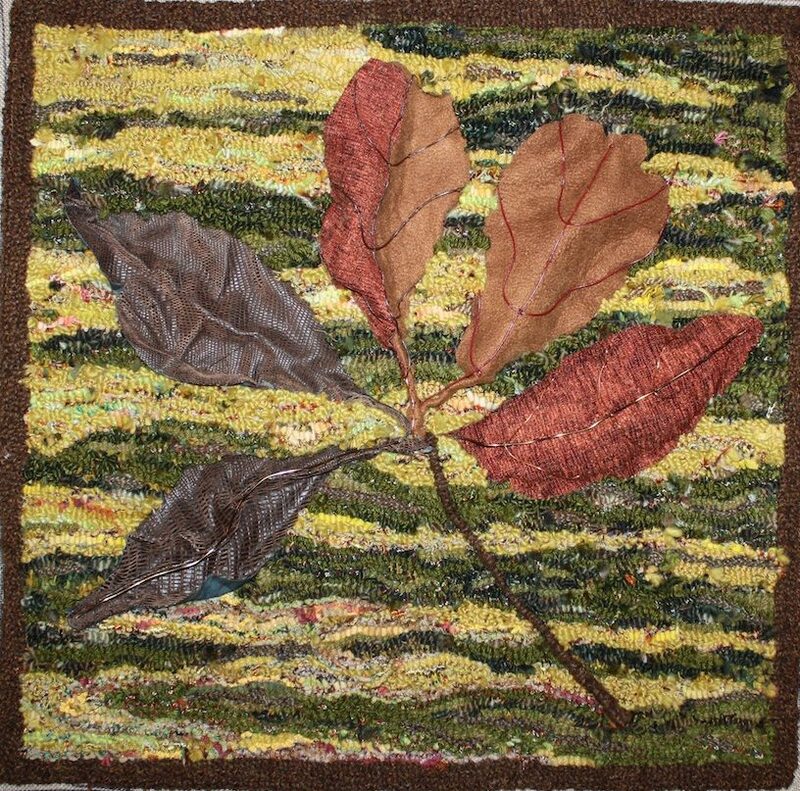 Then interpreting the emotions and sensory moments in small fiber work. Your choice of technique emphasizing our tool of choice, a rug hook.